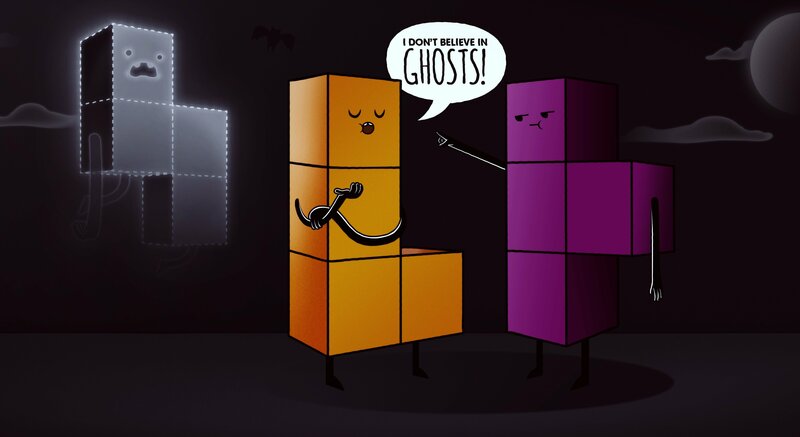 The “Ghost Piece” has been a part of Tetris for several years now. For those who don't know, the Ghost Piece is the Tetrimino outline you see at the bottom of the Matrix. This Ghost Piece shows you where your current Tetrimino is lined up, and how it'll fit into the Matrix depending on your rotation. In essence, it’s your last line of defense before you go for the Hard Drop and lock your Tetrimino into place. Believe it or not, there was a time when the Ghost Piece didn’t exist. Earlier games in the franchise didn't use the outline to help you guide your decisions. In today's Tetris games, the Ghost Piece is almost always available (though it can be turned off if you desire). This lets players decide which approach is right for them. To this day, people argue back and forth about the Ghost Piece. Are people who use it making the game too easy? Are those who turn the option off doing so to their own detriment? Let's dive into both options! When you fire up a Tetris game, the Ghost Piece will be turned on by default. It's an absolutely invaluable tool for newcomers, as it gives them a bit more guidance for their moves. As you get a feel for the controls and learn how rotation works, seeing the Ghost Piece helps you keep track of exactly what you're doing. The Ghost Piece acts as a security blanket of sorts. While it's still possible to make mistakes, using the Ghost Piece allows you to be a bit more confident with your Tetrimino placement. When you're playing a particularly intense game—be it against a computer or real opponent—the Ghost Piece helps you avoid potentially devastating mistakes. With the option being available to all players, the Ghost Piece is always there to help you perform better! One of the first things Tetris purists do when they start up a new game is turn off the Ghost Piece. Whether it's someone who takes Tetris very seriously, or a player who's been with the franchise since the early days, they both prefer to have the Ghost Piece disabled. Because they're more about the skills they possess, they tend to feel like they can't fully improve with the Ghost Piece enabled. Meanwhile, those who grew up without the Ghost Piece might find it to be a bit distracting. They've become accustomed to feeling things out on their own, and seeing the extra movement on the screen can be extremely confusing. It's one extra step they don't find necessary. After all, they've been playing Tetris for so long, they don't need any help pulling off complicated maneuvers! In the end, Tetris lets both types of players experience the game how they want. Having the option to turn the Ghost Piece on or off is the best of both worlds! That said, the question still stands. Do you like to play with the Ghost Piece on or off? You can give the Ghost Piece a try right now with some free Tetris on Tetris.com!